Google CTO Michael T. Jones is charged with advancing the technology to organize the world’s information and make it universally accessible and useful. He was the brains and inventor of GoogleMaps, Earth, and Local Search, and his teams are responsible for providing location intelligence and information for users worldwide. "Anyone with a Web connection has a lens into virtually any place on the planet thanks to Google's technology," said Jones. Google has compiled decades of maps and photos and patching them together, so you can now compare images of an exact spot from decade to decade. You can also follow time-lapsed photos of the Trump Tower during the construction phase, see well developed suburban areas that were corn fields, and he’s even using old photos from the archives of Chicago based Ebony magazine. 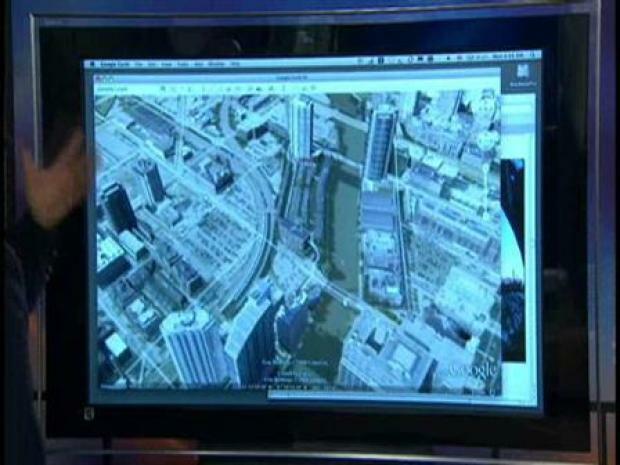 The latest version of Google Earth has a host of new features. The company's Chief Technology Guru shows them off. The chief technology advocate also explained Google’s "Ocean View," which allows users to dive underwater in certain parts of the ocean. In addition to this, there are markers located across the oceans and the Great Lakes to indicate points of interest such as shipwrecks and video of dives from Discovery and National Geographic. With "Google Mars," you can wander across Mars and compare current NASA data to a crude globe from 1877. And the Sky mode allows you to cruise through the galaxies, from constellation to constellation. Everything talked about in the on-air demonstration on NBC5 is free to Internet users.